In February 2016 the Reno Phil performed the first test performances of the new new, critical editions of Rhapsody in Blue and An American in Paris. Explore the links below to learn more about the Gershwin Initiative and about the new editions. 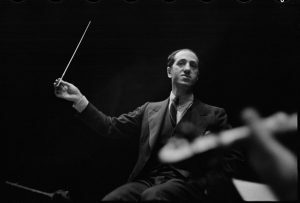 George Gershwin, ca. 1935 Courtesy Library of Congress & University of Michigan Gershwin Initiative This is the piano donated to UM. The George and Ira Gershwin Critical Edition is a project of the American Music Institute at the University of Michigan in partnership with the families of George and Ira Gershwin and is part of the U-M Gershwin Initiative. Laura Jackson is a member of the Advisory Board of the Gershwin Critical Edition along with such musicians as Michael Feinstein, Michael Tilson Thomas, and Jessye Norman. Laura also contributed substantively to the Rhapsody in Blue and An American in Paris editions. 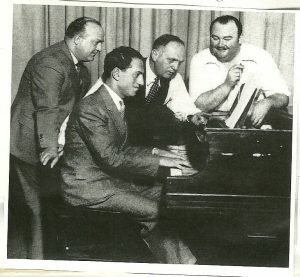 The edition was announced in fall 2013 and led to the donation of George Gershwins’ 1933 Steinway piano to the University in 2014. The goal of the new critical edition is to create new scores of all the music of George and Ira Gershwin, giving these masterpieces of American music the depth and quality of a complete scholarly edition. 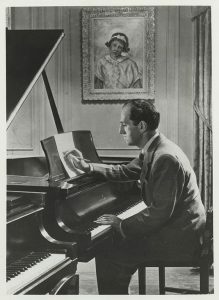 Remarkably the Gershwin’s music has never been edited by musicologists and the scores of such iconic works as Rhapsody in Blue, An American in Paris, Concerto in F, and the folk opera Porgy and Bess contain errors and inconsistencies that have never been corrected. In many cases, the new editions of The George and Ira Gershwin Critical Edition will create the first-ever performance materials to accurately reflect the musical vision of the Gershwin brothers. Rhapsody in Blue premiered in February of 1924 by Paul Whiteman for his An Experiment in Modern Music concert. George Gershwin wrote the piece in just eight days. It was orchestrated by Ferde Grofé. 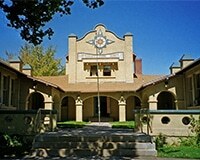 The original orchestration was for the Paul Whiteman “Jazz” Band. In this group, three woodwind players performed on oboe, clarinet, bass clarinet, sopranino, soprano, alto, tenor, and baritone saxophone, along side 2 horns, 2 trumpets, 2 trombones, 1 tuba, 4 first violins, 4 second violins, banjo, string bass, timpani, orchestra piano, and celeste. There were no violas or cellos in the band. 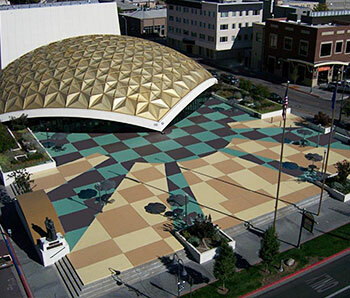 The Reno Phil performed the first test performance of the new Rhapsody in Blue edition on February 21, 2016. Explore the links below to learn more about this iconic piece. Classix Four will also feature a new critical edition of An American In Paris. This tone poem of homesickness and revelry is autobiographical and expresses both Gershwin’s love of Paris and New York. The piece features four taxi horns that George purchased in France and that evoke the hustle and bustle of the Champs-Élysée at rush hour. An American in Paris was commissioned by conductor Walter Damrosch and premiered by the New York Philharmonic on December 13, 1928 in Carnegie Hall. The new edition features the original wind parts in which three players perform on eight different combinations of soprano, alto, tenor, and baritone saxophones, cleaner more accurate parts and articulation, and maybe most notably some surprise from the taxi horns! Click on the links below to learn more about An American in Paris. The Reno Phil is proud to bring these new editions to the stage in partnership with the University of Michigan Gershwin Initiative.